The Tourism Promotions Board (TPB) is targeting foreign tourists from four continents worldwide. 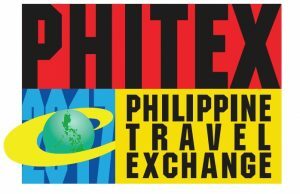 TPB Chief Operating Officer Cesar Montano said massive preparations had begun for the arrival of some 250 travel agents from North America, Europe, Australia and various parts of Asia for the Philippine Travel Exchange (PHITEX) slated in Manila on August 29 up to September 5, 2017. “They (foreign travel agents) are huge buyers of tour packages for their captive clients in their respective countries. Through their participation in PHITEX 2017, our tourism destinations will get promoted and marketed without our local sellers having to travel abroad,” Montano said. With this year’s theme “TRAVEL IS OUR BUSINESS”, PHITEX, now on its 16th year, is the country’s biggest travel-trade event, hosting key wholesale buyers from all over the world for one-on-one business meetings with accredited local tourism suppliers. In 2016, 201 buyers from 35 countries and 196 Philippine sellers joined PHITEX. For this year, the TPB is targeting 250 buyers from Korea, China, Japan, Taiwan, United States, Germany, Australia, New Zealand, Hong Kong, Malaysia, Singapore, Canada, United Kingdom, Middle East, Russia, India, and other European and Southeast Asian countries. The buyers will have full-day business meetings with the local sellers on August 30 and half a day on August 31 before having a city tour for the rest of the afternoon as local sellers participate in the educational seminar organized by the TPB. “The seminar shall discuss sustainable tourism, mitigation and marketing in times of crisis, and trends and forecasts of the travel industry. The topics are designed to help the local sellers adapt their product development efforts to actual market demand and evolving consumer preferences in various parts of the world,” Montano explained. “After the business meetings with the local sellers, the foreign buyers will have a 4-day tour of our selected tourism destinations to equip them with product knowledge for their client engagement activities, thus enabling us to establish brand presence in their home countries through onsite visibility and OTC (over-the-counter) promotions,” Montano added. Post-event tours will be held on September 1-4 in the Ilocos region, Tagaytay, Batangas corridor, Albay-Sorsogon, Iloilo-Guimaras-Bacolod, Puerto Princesa, Coron, Cebu-Bohol and Dumaguete-Siquijor-Sumilon island chains. PHITEX has been bringing in foreign tourists to the country through the foreign buyers, who get encouraged to include the Philippines in their product portfolios and travel packages. “This event (PHITEX) has become even more significant in the light of the AEC (ASEAN Economic Integration), which promotes the 10 countries of Southeast Asia as a single destination. We are positioning the Philippines as the heart of the ASEAN so as to make it rise above the brand clutter and gain top-of-mind recall,” Montano stressed.